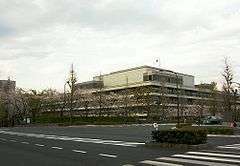 The National Diet Library (NDL) (国立国会図書館, Kokuritsu Kokkai Toshokan) is the only national library in Japan. It was established in 1948 for the purpose of assisting members of the National Diet of Japan (国会, Kokkai) in researching matters of public policy. The library is similar in purpose and scope to the United States Library of Congress. The Diet's power in prewar Japan was limited, and its need for information was "correspondingly small." The original Diet libraries "never developed either the collections or the services which might have made them vital adjuncts of genuinely responsible legislative activity." Until Japan's defeat, moreover, the executive had controlled all political documents, depriving the people and the Diet of access to vital information. The U.S. occupation forces under General Douglas MacArthur deemed reform of the Diet library system to be an important part of the democratization of Japan after its defeat in World War II. In 1946, each house of the Diet formed its own National Diet Library Standing Committee. Hani Gorō, a Marxist historian who had been imprisoned during the war for thought crimes and had been elected to the House of Councillors (the successor to the abolished House of Peers) after the war, spearheaded the reform efforts. Hani envisioned the new body as "both a 'citadel of popular sovereignty," and the means of realizing a "peaceful revolution.'" The Occupation officers responsible for overseeing library reforms reported that, although the Occupation was a catalyst for change, local initiative pre-existed the Occupation, and the successful reforms were due to dedicated Japanese like Hani. In 1961, the NDL opened at its present location in Nagatachō, adjacent to the National Diet. In 1986, the NDL's Annex was completed to accommodate a combined total of 12 million books and periodicals. The Kansai-kan (the Kansai Library), which opened in October 2002 in the Kansai Science City (Seika Town, Soraku County, Kyoto Prefecture), has a collection of 6 million items. 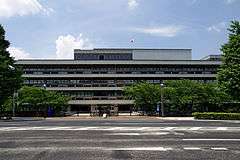 In May 2002, the NDL opened a new branch, the International Library of Children's Literature, in the former building of the Imperial Library in Ueno. This branch contains some 400,000 items of children's literature from around the world. The NDL houses the former Imperial Library's collection of Japanese language materials from the Edo Period (1603–1867) and earlier periods. The major catalogues in this collection include: (1) some 6,000 documents relating to the Tokugawa Shogunate (1603–1867), such as records of town magistrates, the shogunal Supreme Court, and the Commissioners of Shrines and Temples, as well as documents concerning the succession of shoguns; (2) the Ito Bunko and Shirai Bunko, consisting of 8,000 handwritten and woodblock printed books dating from the Edo and Meiji Periods and concerning Japanese medicine; and (3) the Shinjo Bunko, consisting of 11,000 examples of pre-modern writings on astronomy and calendars, in addition to ancient Chinese works on the Qing Dynasty, genealogy, and local history. 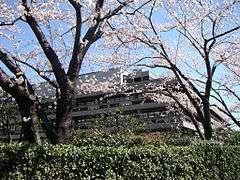 The National Diet Library has in recent years compiled a detailed website in both Japanese  and English. Its online databases consist of the National Diet Library Online Public Access Catalog (NDL-OPAC), the Digital Library of the Meiji Era, the Rare Books Image Database, and the Minutes of the Imperial Diet and National Diet. The NDL provides an Online Public Access Catalog (OPAC), by which users can search the NDL's entire collection from anywhere in the world in either English or Japanese. Using OPAC to identify sources and catalog numbers, overseas users may obtain certain materials from the NDL through interlibrary loan. In addition, the NDL provides a fee-based reproduction service for scholars residing overseas. One of the most important features of the NDL's website is the Digital Library of the Meiji Era (近代デジタルライブラリー, Kindai dejitaru raiburarii, lit. Recent Age Digital Library). The Digital Library is the digital descendant of the Maruzen Meiji Microfilm, the product of an ambitious project to microfilm the NDL's entire collection of Meiji era books, a collection of some 60,000 volumes. The digital library contains actual images of these works, which are divided into ten main categories based on Nippon Decimal Classification (NDC) : (0) general (総記, sōki); (1) philosophy (哲学, tetsugaku); (2) history (歴史, rekishi); (3) social sciences (社会科学, shakai kagaku); (4) natural sciences (自然科学, shizen kagaku); (5) engineering and manufacturing (工学・工業, kōgaku/kōgyō); (6) industry (産業, sangyō); (7) arts and athletics (芸術・体育, geijutsu/taiiku); (8) language (語学, gogaku); and (9) literature (文学, bungaku). The images are not coded, so text searches are not possible; however, Japanese-language searches for the title, author, publisher, subject, and table of contents of the works in the database are possible. Meiji period periodicals are not included in this collection. The NDL's website also contains the Rare Books Image Database (貴重書画像データベース, kichōsho gazō dētabēsu) a collection of digital images from 37,000 illustrated books published before the Edo Period. Japanese-language searches by title, author, and call-number are possible in this database. 1 2 "Kokuritsu Kokkai Toshokan shōshi" (in Japanese). Kokuritsu Kokkai Toshokan. Retrieved 13 January 2011. ↑ This was the ground of the German Embassy since Meiji-Times. It was confiscated in 1945 and not given back.